To show our thanks for almost 40 years of support from local communities around Fayetteville and throughout NC, we are glad to give back! From Military Discounts to used eyeglass projects and other community outreach programs, we are proud to help. Call today to learn more! 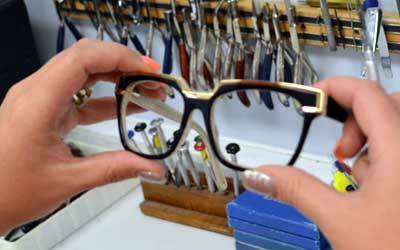 We invite you to stop by anytime during our regular business hours for a complimentary frame adjustment. Call or visit today and let us take care of you! 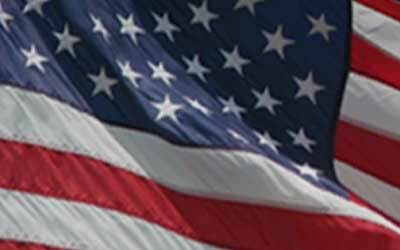 To show our appreciation for the brave men and women of our military, we gladly offer product and service discounts to military personnel. Call for details & thank you for your service! 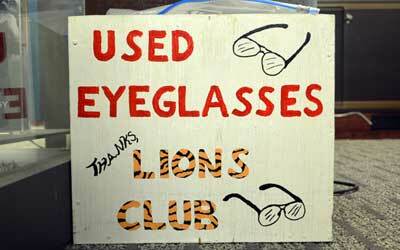 We are active in community outreach programs from collecting, re-conditioning and re-distributing used eyeglasses to various other community projects. Call to learn more or to participate. Professional Opticians of NC, Inc. is a full service eyewear and eyeglass shop located in Fayetteville, North Carolina. Professional Opticians offers for sale a complete line of the most popular eyeglass frames, luxury designs, high fashion designer frames, classic styles as well as sunglasses, safety glasses, reading glasses & specialty glasses both prescription and non-prescription for men, women, children and infants. Name brand glasses for sale include; Lindberg, Cazal, Silhouette, Caviar, Oakley, Fendi, Costa, Wiley-X, Ray Ban, Swarovski, Nine West, Liz Claiborne, Lilly Pulitzer, Guess, Flexon, Vera Bradley, Jones New York, Banana Republic, Carrera, Jimmy Choo, Kate Spade, Fossil, Gucci, Marc Jacobs, Saks 5th Ave, Tura, Italee-Swissflex and more. Professional Opticians offers one-stop eyeglass shopping and repairs with an onsite prescription lens lab, licensed opticians, eye exams via Professional Optometry (Dr's Ann & Nathan Lieberman), free adjustments as well as all other eyeglass and eyewear needs. Professional Opticians is a top rated eyeglass shop locally serving Fayetteville, Fort Bragg, Cumberland County, Spring Lake, Clinton, Southern Pines, Pinehurst, Dunn, Sanford, Lumberton, Elizabethtown, Laurinburg, Benson and throughout NC. Complimentary Adjustments & Military Discounts on Eyewear in NC.